What’s the best time to travel to Ecuador? Quito and the highlands enjoy comfortable temperatures, usually in the 60s F (15-20 C) during the day and occasional showers. The Amazon regions are hot (85-90 F, 30-32 C), humid and it can rain year-round. The rainy season is from April to June, but a nice rain is often welcomed in the warmth. What’s the best time to travel to the Galapagos Islands? There is never a bad time to visit the Galapagos. December through May has slightly warmer than average temperatures and it generally drizzles a bit at some point in the day, however it is also the sunniest time of year with rain clouds moving on quickly. The water is warmer during this time of year making swimming and snorkeling more comfortable, however there aren’t quite as many fish as other times of year. December through May is the breeding season for land birds, so it’s a great time to see unusual mating rituals. Also, if you are a turtle lover this is the time to be here as it’s when you can watch sea turtles nesting on the beach and in March through May you can often see land tortoises searching for mates. Sea lions also mate in this season and males can be seen sparring. The other benefits of this season are much calmer seas and blooming flowers making the islands their most colorful. During June through November the Humboldt Current is making its way through Galapagos, bringing with it colder waters and weather, however air temperature is still warm, and water temps are in the 60s to low 70s F. This colder water may mean you’ll want a wetsuit to snorkel in (generally available to rent for a small cost) but it also means there will be more abundant marine life. This season is generally a bit cloudier, but it rarely rains. Winds and higher seas are more common in this season. Blue-footed boobies mate during June and July typically, so it won’t be difficult to witness their beautiful mating ritual. Albatrosses arrive on Española in June and stay until December. Penguins also like the cold water and the abundance of fish, so you’re more likely to see them here during this season. ‘High’ or peak season coincides with the North American and European summer as well as between mid-December and January. Outside of these months it is more possible to find lower rates and last-minute discounts. Does Ecuador have any visa requirements or is there anything I need to do ahead of time to get into the country? Upon arrival North Americans and most European nationals will be granted a 90-day tourist visa free of charge. There are no other pre-departure actions needed other than ensuring your passport is valid at least 6 months beyond the dates of travel. To date, visas are required only for travelers from the following countries: Costa Rica, Cuba, China, Bangladesh, Taiwan, North Korea, South Korea, Vietnam, and most middle-Eastern countries. Ecuador is considered a very safe country, however petty crime and, on occasion, more serious crimes do occur. It is best not to be out alone at night and to stay in populated well-lit areas. Keep a close eye on your personal belongings especially in airports, crowded tourist sites, and busy markets. Do not use loosely hanging bags or purses, and we encourage women to use purses that zip. Non-violent demonstrations are common in Ecuador and travelers are advised to avoid them. 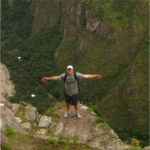 What immunizations and shots do I need to travel to Ecuador? No immunizations are currently required for travel in Ecuador. For any international travel the Centers for Disease Control recommends being up to date on routine vaccinations, and Hepatitis A and Typhoid vaccinations are also recommended. The yellow fever vaccination is recommended for those traveling to the Ecuadorian Amazon and required for those entering Ecuador from a country of perceived risk. This vaccination is valid for 10 years and must be administered at least 10 days before your arrival to be effective. It is recommended that travelers bring along their International Certificate of Vaccination or Prophylaxis (ICVP) as proof of vaccination. If traveling to multiple countries, please check your specific itinerary with your medical professional. For travelers only visiting the Ecuadorian highlands and the Galapagos Islands this vaccination is not recommended. The mosquito-transmitted Zika Virus and Dengue are found in some regions of Ecuador, and as such the CDC recommends travelers take extra precautions to avoid being bit by mosquitos. Use insect repellents with 25-30% Deet or 20% Picaridin, and in regions such as the Amazon wear long-sleeved shirts, long pants, socks and shoes to protect against mosquito bites. Malaria preventatives are also recommended if visiting the Ecuadorian Amazon. In accordance with the CDC, Knowmad Adventures does not advise travel to Ecuador if you are pregnant. Ultimately it is a good idea to visit a travel clinic 4-8 weeks prior to any international travel. For more information you can also check out the Centers for Disease Control website at www.cdc.gov. You can book at any time. 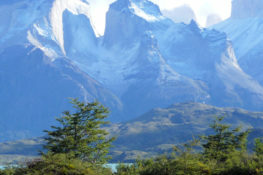 Generally the earlier the better as to avoid preferred hotel vacancy issues and rising regional airfare costs increase. We recommend trying to have your trip booked at least two months out, however we have arranged trips leaving in less than a week. It is worth noting that Ecuadorian airlines require a passport number to book flights so it is important you have a valid passport when booking. Unless otherwise noted, you will travel in a clean, comfortable newer private van such as a Mercedes Benz Sprinter, or possibly a SUV-style vehicle couples. What kind of planes are used for internal flights? Almost all flights within South America are on mid-sized jets such as 727s with a capacity of around 100 people. Is trip insurance included and should I purchase trip insurance? Trip insurance is not included in your trip cost. Knowmad highly encourages purchasing insurance as the unforeseeable is just that, unforeseeable. Shortly after registering for your trip your Trip Specialist will send you a link to a pre-built policy for Travel Guard Gold that corresponds with your trip, trip cost including estimated international and regional air, and your age. Simply click the orange ‘Review My Policy’ link, review the coverage, and enter payment info to purchase. What’s the best way to get money and pay for things while traveling in Ecuador? Since the year 2000 Ecuador has used the U.S. dollar as its official currency, and it is accepted throughout the country. Although not as abundant as in the U.S., local ATMs distribute dollars. The ATM will charge an international ATM fee (usually around $5 USD), but many banks have programs where they will refund the charges. Bring two cash cards if you can. Credit cards are often accepted at hotels, nice restaurants and shops. It is best to bring at least a hundred U.S. dollars in newer condition and in denominations less than 20. 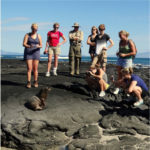 Departure taxes and the Galapagos National Park fee (Foreign Tourists non-residents of Ecuador over 12 years of age – $100) must be paid in cash. Do I need a converter/adapter for the electricity in Ecuador? Ecuador uses 110 volt, 60 cycle electricity, same as the U.S. Plugs are typically the 2-pronged flat type, so U.S. travelers will not typically need a converter or adaptor. Tap water in Ecuador is generally not safe to drink. Bottled water is readily available at tourist sites, hotels, and restaurants. Don’t forget to use bottled water when brushing your teeth as well. Ice is not always made with boiled/bottled water. Order your beverages without ice (“sin hielo”) or ask your guide if the ice is safe in a particular restaurant. Most Galapagos cruise ships provide some bottled water in your room. They also serve purified water and ice and will refill your bottles with purified water upon request. Ecuador is five hours behind GMT (same as EST). They do not observe daylight-savings time so during these months (April-October), Ecuador is on CST. The Galapagos Islands are one hour behind the mainland. Can I use my U.S. or European cell phone while traveling in Ecuador? Check with your cell phone provider. Each company is different and they can give you the most up-to-date information, although we recommend leaving the phone at home if possible. What is the best way to communicate with people back home while in Ecuador and the Galapagos? 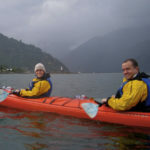 Email is the cheapest and fastest way to communicate while traveling in Ecuador. Most hotels will have public computers with access to email, and most towns also have internet cafes you may use for a small fee. If you wish to communicate by phone and your cell phone will not work, our guides can offer assistance to travelers wishing to purchase a pre-paid international phone card. How much should I budget for an Ecuador trip beyond the tour fee and international airfare? The markets and shops of Ecuador are paradise for shoppers; budget accordingly. How much should I tip while on my Ecuador trip? 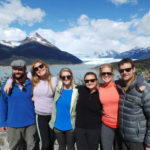 The recommendation for private guides is between $10-20 USD per full day of guiding per person and $3-5 USD for private drivers per full day per person. This is simply a guideline and it is Knowmad’s hope that you use it only as a framework and tip appropriate to the level of service you feel you received. Tipping in South America is seen as a bonus: 10% in restaurants reflects very good service; spare change or small sums are customary for cab drivers and porters. For included meals Knowmad will have paid a service charge in advance. Beyond open eyes, mind and your sense of adventure it’s entirely up to you, but here are some guidelines to help. Ecuadorians are accustomed to seeing tourists so shorts, sandals, and jeans are perfectly acceptable. Weather varies dramatically from region to region and can change quickly in many places, so layerable, versatile, and comfortable clothes are a plus. What to pack for Quito and the Northern Highlands (Otavalo and Avenue of the Volcanoes)? Being both close to the equator and high in the mountains, Quito enjoys mild days and cool nights most of the year. Evening temperatures average in the mid 40’s F (7 C) while daytime temperatures are consistently in the 70’s F (25 C). Rainy season runs from October to May with April being the wettest month. June to September is drier with slightly warmer temps. What is the weather in the Galapagos Islands? Owing to their location at the Equator, the Galapagos do not have a lot of seasonal variation. Temperatures average in the 70s-80s year round, with January to April being slightly warmer. The climate is quite dry, with the majority of precipitation coming between January and April. What to pack for the Galapagos Islands? Comfortable walking shoes with good support (for on board ship and shore excursions). Most people find tennis shoes suitable. T-shirts, polo shirts, and/or other comfortable, lightweight short-sleeved shirts. If you plan to use a T-shirt while snorkeling, please pack extra. Because the Galapagos are at the equator and you spend considerable time outside while exploring the islands, sunscreen quite possibly is the most important item on this pack list. We suggest bringing ample amounts. Use at least SPF 30; 45 or higher is even better, and be sure it is waterproof. Make sure you put it everywhere including the tops of your feet, and reapply throughout the day especially after snorkeling. A swimsuit or two is perfect as they dry quickly in the sun. If you have your own snorkeling equipment and feel like brining it, do so by all means. Some ships charge a rental fee, but most do not. Throughout the year the water is pretty warm, so wetsuits are not necessary however some people like using them. Most commonly ships charge a nominal rental fee to have a wetsuit for the duration of the cruise if you feel you need one. Unless you have a lightweight shorty wetsuit, it generally is not worth hauling your own to the Galapagos Islands unless for a diving specific trip. The Galapagos is a photographer’s dream and you will inevitably take more photos than you imagine. For this reason, we suggest you bring more memory cards or film than you might expect to use. Buying film, memory cards, or underwater cameras onboard the ships is very expensive. If you bringing a quality 35 mm camera, bringing a wide-angle/macro lens and a 70-210 mm zoom lens is advisable. A polarizing filter is also very helpful as it reduces the glare of the sunlight on the water as well as enhancing sunset shots. If you don’t have a waterproof camera, bring a disposable one to catch the underwater world of the Galapagos. What to pack for the Amazon Rainforest? What should I pack for biking in Ecuador? What shoes and footwear should I use for Galapagos and active trips in Ecuador? For Galapagos cruises hiking boots are fine, however not a necessity. Comfortable walking shoes with good ankle support are sufficient for most people and are less bulky, therefor we recommend them for cruises. A change of shoes intended for leisure activities is recommended. 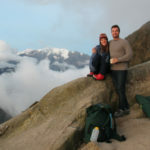 The same can be said for hiking-intensive itineraries in Ecuador, however if you have a well-worn comfortable pair of hiking boots that fits easily in your suitcase or bag and is your preference, than by all means bring them. Knowing a lot about a country before you travel there can enrich your travels and help you meet and relate to more local people. To learn more about Ecuador we recommend consulting guidebooks such as Frommer’s, which has sections on history, politics, etc. In addition to our own, there are many websites as well with information on Ecuador. LIVING POOR by Moritz Thomsen is written by a 48-year old Peace Corps volunteer. Thomsen’s eloquent and often humorous tale is a portrait of Ecuadorian culture. MEMORY OF FIRE by Eduardo Galeano tells the history of the Americas in a poetic prose and unique style of nonfiction history. POLVO Y CENIZA (DUST AND ASHES) by Eliecer Cardenas is a critically acclaimed modern work that attempts to dig up an Ecuador buried and forgotten. CANAR: A YEAR IN THE HIGHLANDS OF ECUADOR by Judy Blankeship focuses on the indigenous culture of a remote Andean village. THE PANAMA HAT TRAIL by Tom Miller is a fascinating account about the author’s search for the origin of the Panama Hat, which is actually native to Ecuador. THE MAPMAKER’S WIFE: A TRUE TALE OF LOVE, MURDER, AND SURVIVAL IN THE AMAZON by Robert Whitaker grips readers reconstructing a scientist’s wife’s 18th century journey from the Andes to the Amazon. TROPICAL NATURE by Adrian Forsyth and Ken Miyata is a collection of stories by two neotropical biologists who did much of their research in Ecuador, and is a favorite of natural-history and wildlife buffs. BIRDS, MAMMALS, AND REPTILES OF THE GALAPAGOSISLANDS by Andy Swash and Rob Still is a fully illustrated, descriptive, colorful and user-friendly guide to Galapagos fauna and birdlife. ¿Cuánto cuesta esta? How much does this cost? Have a question that you can’t find an answer to on our site? Or if you’d simply like to ask a real, live person your questions instead of browsing through these FAQ sections, we are more than happy to help. Just give us a call at 612-315-2894 or email travel@knowmadadventures.com.